Euro has practically reached the group of lower fibo levels at 1.3380 – 1.3375. Price may reach this price area during a day. If price rebounds from this price area, new correction may become possible. 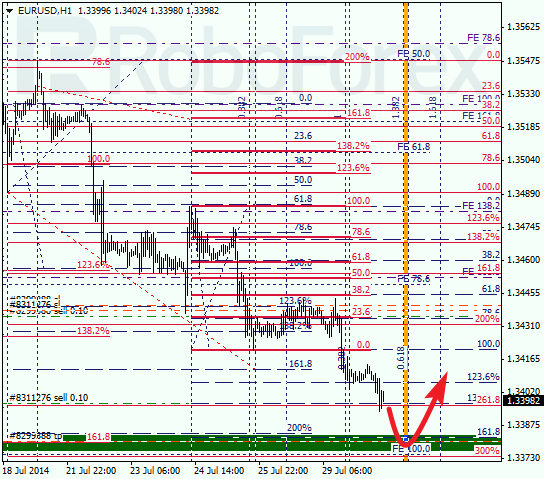 As we can see at H1 chart, targets are confirmed by local fibo levels. According to the temporary fibo-zone, price may reach specified price area in the near term. Orders will be automatically closed with take profit. Franc is still moving upwards towards new targets. 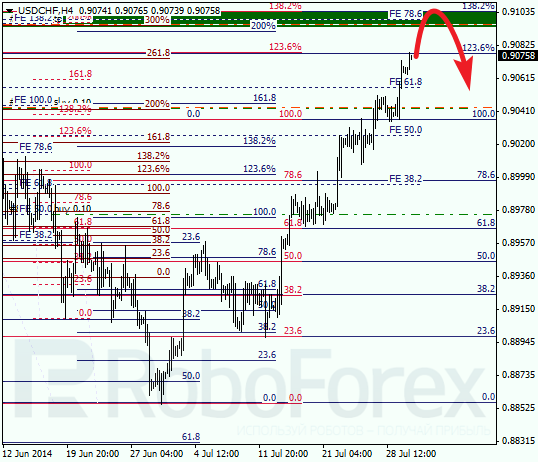 Price is very close to the group of upper fibo levels at 0.9105 – 0.9095. The growth of pair may allow me to move stop loss on orders higher. 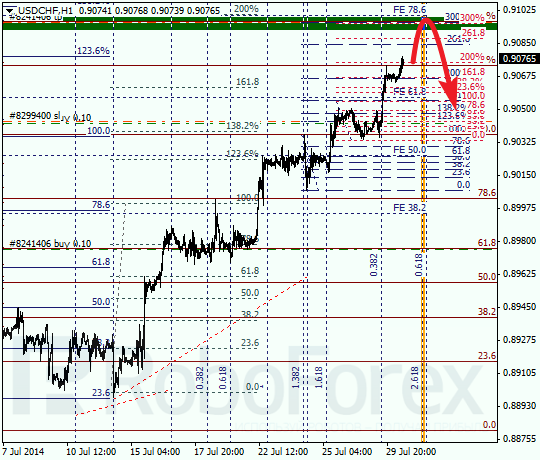 At H1 chart, price is getting closer to the temporary fibo-zone. At specified time price may rebound from upper levels and start new correction. I am planning to move stop loss on orders, following the price movement upwards.